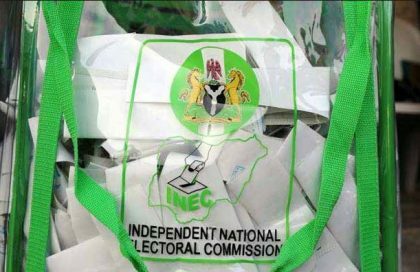 Ahead of Saturday’s governorship election in Ekiti, Prof. Mahmood Yakubu, the Chairman of the Independent National Electoral Commission (INEC), on Monday assured the electorate that their votes would count. Yakubu spoke at a stakeholders meeting held in Ado-Ekiti which had in attendance some of the gubernatorial candidates and their party officials. He said the commission had trained all the ad hoc staff required for the election while it had made adequate arrangements for the delivery of personnel and materials to all polling units. ” Please, take my words; your votes will count, only the choice made by the Ekiti people will determine the outcome of the election. ” We have listened to the views and concerns expressed by different political parties and their campaign organisations. “Please note that the commission would not take any action to the advantage or disadvantage of any political party or candidate. ” Be assured that no election material will be tampered with; if anything, we have introduced additional safeguard measures of transparency to protect the integrity of our manual and electronic processes as well as procedures, ” he said. The INEC boss added that three National Commissioners and five Resident Electoral Commissioners had been deployed in the state. Also speaking, the Inspector General of Police, Ibrahim Idris, said the Force had put in place adequate security measures to tackle those who may want to disrupt the exercise. Idris said the security cordon was in place to check intrusion from the neighbouring states of Kogi, Osun, Ondo, Oyo and Kwara. He warned that anyone caught fomenting trouble in any part of the state would be made to face the consequences no matter how highly placed. Idris also warned politicians and their followers against attempting to bribe any of the police officers on election duty, saying adequate arrangements had been made for their welfare. ”Don’t arm your thugs, don’t wear party insignia to voting venues, don’t blow siren, don’t ignore restriction order on human and vehicular movements, don’t bribe any policeman. “ Don’t attempt to steal votes or manipulate the process. Whoever that does any of these will be made to face the consequences,’’ he said. The high point of the event was the signing of a peace pact agreed to by the candidates.